PARIS - On Saturday and Sunday, Romania’s President Klaus Iohannis will attend ceremonies commemorating the centennial of WWI’s armistice. The Romanian head of state, invited by the French President Emmanuel Macron, will attend the centennial ceremony at the Triumphal Arch alongside leaders of the belligerent countries in WWI and also leaders of the states that supported the war efforts. Also, Klaus Iohannis will attend the inaugural edition of the Paris Peace Forum, president Macron’s initiative, focused on supporting and striving to improve global governance in the fields of peace and security, environment, development, technological advancement and economy. In Paris, president Iohannis will also meet with Romanian research students. According to the Romanian Presidential Administration, the meeting organised at the Romanian Embassy in Paris is devoted to Romanian contributions to the development of science and technology, in the Centenary Year of the Great Union.  FOREIGN AFFAIRS – The Romanian Foreign Minister Teodor Meleşcanu met in Bucharest on Friday with his counterpart from neighbouring Hungary, Peter Szijjarto. On that occasion, the two officials talked about the stage of bilateral relations, laying emphasis on the importance to increase two way trade exchanges and boost cooperation in such domains as energy and infrastructure. Other points on the agenda of talks included the EU enlargement in the West Balkans, security in the Black Sea region and the Eastern Neighbourhood, which are foreign policy issues of utmost importance for the Romanian Presidency of the EU Council in the first half of 2019. In another move, Melescanu told his counterpart that he pays special heed to the way in which the Hungarian authorities are managing domestic and foreign policy issues with a direct impact on bilateral relations, particularly this year when Romania celebrates the Great Union Centennial anniversary. In turn, the Hungarian official said the two countries have the capacity to solve their sensitive files. DEFENSE - The Romanian Defence Minister, Mihai Fifor, said on Friday there is a complex security situation in the region, against the backdrop of the Russian Federation’s aggressive attitude, which manifests itself by increasing the number of troops and dispatching new capabilities in the Black Sea area. The declaration was made during the visit paid by Mihai Fifor alongside his Canadian counterpart Harjit Singh Sajjan to the Mihail Kogalniceanu air-base in south-eastern Romania. The two officials will meet with soldiers from the Canadian detachment deployed in Romania for enhanced air-policing missions, as well as with Romanian Air Force staff. On this occasion, minister Fifor also referred to the importance granted by Romania to the Trans-Atlantic dialogue during the Romanain presidency of the EU Council, in the first half of 2019. FAC (TRADE) – Romania supports the European Commission in the process of negotiation to reform the World Trade Organisation, the Romanian minister for the Business Environment, Trade and Entrepreneurship, Ştefan-Radu Oprea said in Brussels on Friday. The statement was made at the meeting of the Foreign Affairs Council (Trade), where EU-US trade relations were also on the agenda of talks. On the sidelines of the meeting, minister Oprea held talks with several counterparts from the EU member states, in the run up to Romania’s holding the rotating presidency of the EU Council in the first half of 2019. TRADE DEFICIT - According to the National Institute of Statistics, Romania’s trade deficit grew by more than one billion Euros in the first nine months of the year. Thus, the deficit of the trade balance, which is the difference between the value of imports and that of exports, has reached 10 billion Euros. This year, a big share of both imports and exports has been held by transport machinery and equipment.